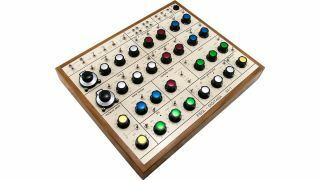 Digitana Electronics, which develops custom interface modules for classic synthesizers made by Electronic Music Studios (EMS), has announced two new prototype synths in collaboration with UK electronic act, The Future Sound of London. Both products are still in development, and Digitana Electronics insists that the final list of features on production units may change. There is, however, much to get excited about already. First up is the the SX-1, a 'standalone expander' based around the expander module of the Synthi AKS KS. Another desktop synth in development is the HALia, a little digital number built around ARM-based microcontrollers. 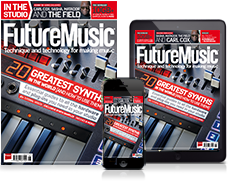 Both synths are the result of ongoing collaborations between Digitana Electronics and the The Future Sound of London. The SX-1 is powered by dual VCOs, each featuring sine/triangle and square waves and 'wave-folding' (voltage controlled). There’s also dual filtering and envelopes, analogue delay and distortion effects, S&H, an LFO and an envelope generator. The SX-1 also has plenty of CV I/O for both internal and external modulation. Not content with just the one new collaboration with FSoL, Digitana has also introduced HALia. This is an all-digital 'pocket' synth that uses multiple ARM-based microcontrollers, and it promises ‘endless sonic possibilities’. You should be able to generate “everything from huge pulsating multi-oscillator drones and FM-synthesis to Buchla-esque noodlings”. Unfortunately, details on HALia are in scant supply right now, but there is the promise of more information on this and audio demos of both synths very soon. In the meantime, check out the Digitana Electronics website.